Just last week a book called The Cultural Lives of Whales and Dolphins by world-renowned researchers Hal Whitehead and Luke Rendall appeared at my door (the Kindle edition is available here). I've been anxiously waiting for it to arrive and consumed it last night and early this morning. (It was far better than my coffee!) Of course, I look forward to rereading it many times for it is that good. As the book's description notes, "In the songs and bubble feeding of humpback whales; in young killer whales learning to knock a seal from an ice floe in the same way their mother does; and in the use of sea sponges by the dolphins of Shark Bay, Australia, to protect their beaks while foraging for fish, we find clear examples of the transmission of information among cetaceans." And, there is much more. So, what is culture? Drs. Whitehead and Rendall carefully discuss various definitions of the word "culture," and note that, "To be useful to us, a concept of culture must be concerned with things that can be observed, without the necessity of knowing about internal states or constructs (for example, beliefs or values). It must at least allow for the possibility of nonhuman culture and should not exclude things that we commonly consider cultural in humans." (p. 11) They and other researchers use the working definition of culture as: "Behavior patterns shared by members of a community that rely on socially learned and transmitted information." (p. 11) I like the simplicity and practicality of this definition and it can readily be applied to numerous different species, as they authors nice do. There is "an extraordinary flourishing of culture in the oceans"
Noting that it is essential to discuss the practical implications of what we know about various species, Drs. 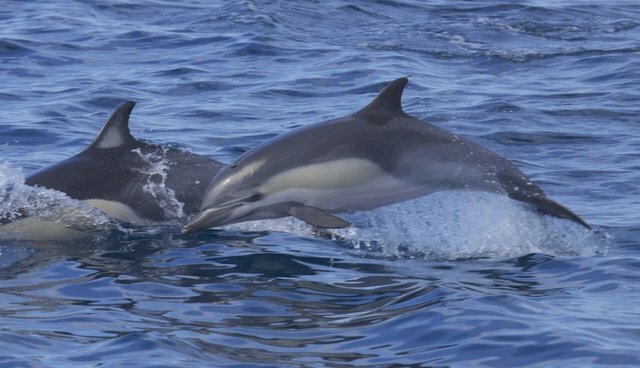 Whitehead and Rendall write, "cetacean culture should affect the way we treat cetaceans in practical ways right now, when it comes to effectively conserving them, and as our knowledge grows it may also affect the way we view our responsibilities toward them and our relationships with them." (p. 302) They rightfully conclude that there is much to learn but there really is "an extraordinary flourishing of culture in the oceans." (p. 302) The skeptics, if any still linger, will have to offer more than something like their dismissive claim, "Oh, whales and dolphins and other animals are only acting as if they have culture, but they don't." They clearly do. The Cultural Lives of Whales and Dolphins is an outstanding book and I'm not alone in giving it an A+ for content and argument. You can see more praise here. It is perfect for advanced undergraduate and graduate courses and also for a broad audience that is interested not only in whales, dolphins, and other cetaceans, but also in other animals in which culture is clearly and amply present. However, as I've noted above, it contains much more information about many different aspects of animal behavior. The Cultural Lives of Whales and Dolphins is destined to become a classic.